The Invisible Institute was founded to hold government institutions accountable to the people who they serve. 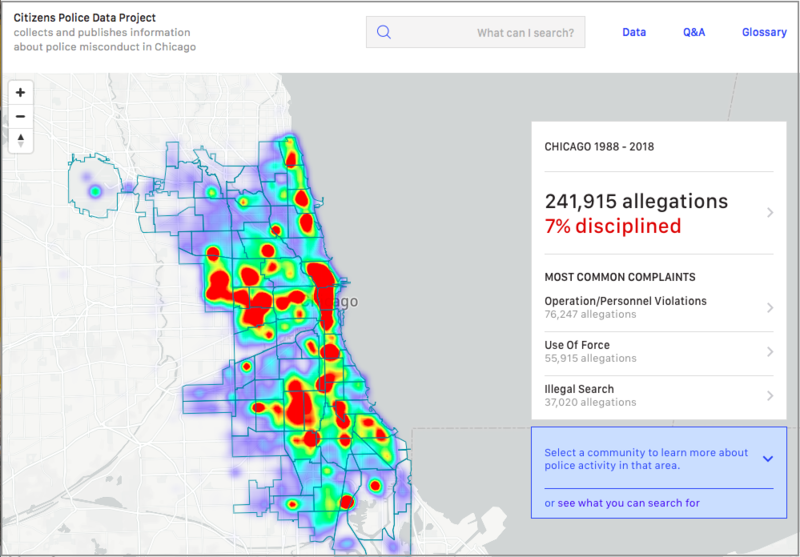 As a part of this mission, they sued the Chicago Police Department to make data about police misconduct and use of force public. After their legal victory, they needed help to operationalize transparency and make this information useful to the public. Working closely with a team of designers and developers at East Agile, the Invisible Institute launched the Citizens Police Data Project and built an initial prototype web app to transform the hundreds of thousands of database records and PDF documents gathered through the Freedom of Information Act (FOIA) into a searchable data tool with interactive visualizations and maps. With this proof of concept, the Invisible Institute won a series of major grants, including the Knight News Challenge, and are now continuing work with a team at East Agile to build out an open-source platform for public oversight. To learn more about this work, check out "The Chicago Police Files" series recently published by The Intercept. And if you’re a researcher, journalist, data professional, or community member interested in police data, be sure to visit CPDB.co or reach out to data@invisibleinstitute.com.